Heavy gauge steel construction. Swingarm fenders feature wiring tubes. Each fender is inspected personally by a master fender builder to ensure straightness, consistency and a flawless finish with an absolute minimum of finishing bodywork. Fenders come undrilled so you can position them to look and work best for your application. Handmade in the USA. All fenders must be prefitted prior to painting. Heavy gauge steel construction. Swingarm fenders feature wiring tubes. Each fender is inspected personally by a master fender builder to ensure straightness, consistency and a flawless finish with an absolute minimum of finishing bodywork. Fenders come undrilled so you can position them to look and work best for your application. Handmade in the USA. 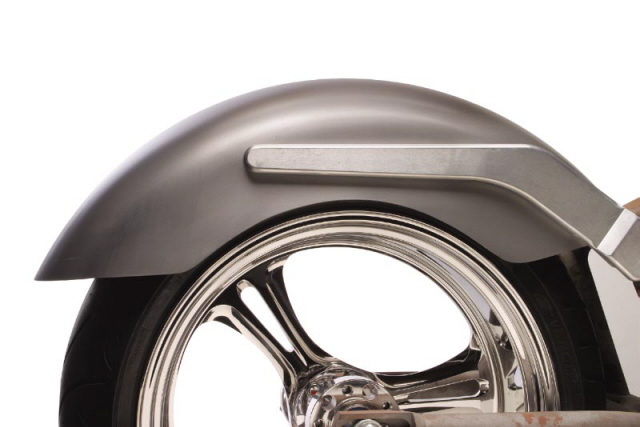 All fenders must be prefitted prior to painting. Note: All measurements are approximate.